MeetingPlay has recently added a key component to our list of event tools. On top of registration and our engagement driven, custom mobile event app, MeetingPlay has added an event wall. This multi function wall can benefit almost any event through the use of social, engagement or recognition. MeetingPlay first launched our social event wall at Marriott’s 2015 Digital Summit – with a 100 foot event social wall. Immediately, Digital Summit attendees fell in love with the social event wall (also sometimes referred to as a tagboard) – seeing their pictures posted and comments across a 100 foot screen – helped drive and encourage attendee engagement. Seeing what a success the Digital Summit’s social event wall was – we wanted to bring the same idea on the road for all of our clients events, thus we created MeetingPlay’s “event wall”. MeetingPlay’s new travel sized event wall for meetings, events and conferences stands just over ten feet high and twenty feet wide, and is a perfect addition to your next event. 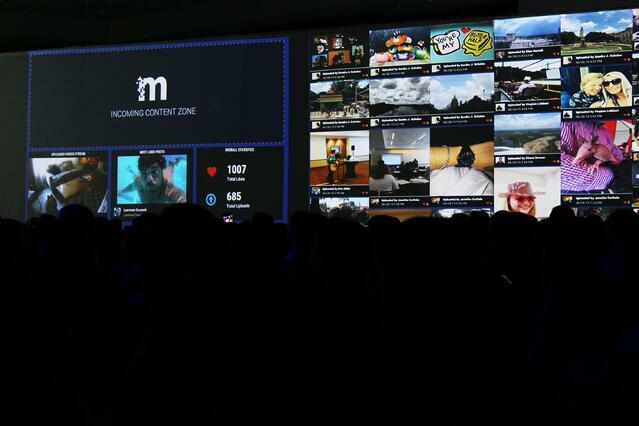 Our partners are using our event wall to bring social integration into real time – LIVE! Showcasing a live feed of the social buzz that is happening around the event- conferences and events alike can share everything from photos, comments, and even social integration. Additionally, your events social event wall can incorporate event hashtags from Twitter and Instagram to fill the wall with social interaction. Combining the wall with RFID technology has created a way for attendees to be engaged with the wall itself. 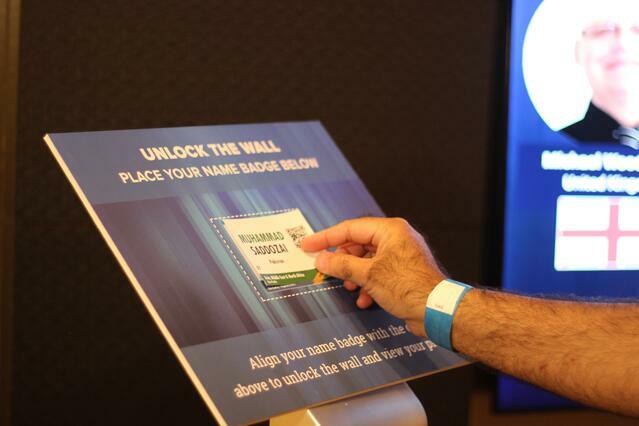 When attendees scan their event badges on the wall, it opens up a custom experience, showcasing the attendee’s information – encouraging networking, showcasing the attendees brand and or affiliation, and making attendees feel part of the ‘community’ of the event, thus driving further engagement. Want to make your attendees fee like a superstar? Our social event wall surely will do such! Taking the engagement component one step further, your social event wall can share unique and custom information. Whether it’s showcasing an employee for their hard work, sharing work anniversaries, announcing award winners, or a slew of other possibilities – the social event wall is a great way to show off and applaud your attendees throughout the entire event. Taking it a step further - if your event has an awards Gala or special exclusive attendee only dinner – you can showcase specific announcements and recognitions at these events with your social event wall. Highlighting attendee’s hard work and dedication is a great and invaluable part of any conference or event – but continuing that recognition with an event wall is a great way to keep that momentous celebration going. There's no doubt social walls are a must have for your next event or conference - attendees love them, sponsors love them, the response and results make event planners love them!